Ready for Lent? 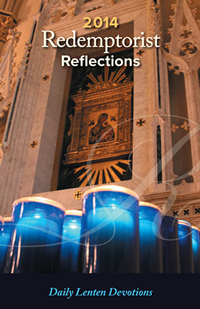 Let our 2014 booklet of daily reflections—available in paper and free pdf versions—help you prepare. Written by Redemptorists and lay collaborators, the 2014 booklet is available in both English and Spanish. If you’d prefer a paper copy, you can buy one from our gift shop for $5, postage paid.